Who do I report my work-related injury or illness to? 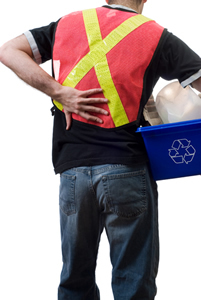 You should report your work-related injury or illness to your employer. How long after an accident occurs on the job do I have to report it to my employer? You should report the work-related accident as soon as possible but no later than thirty (30) days from the date the accident occurs, or within thirty (30) days of the date the doctor says you are suffering from a work-related injury. Failure to report your injury or illness within (30) days may result in your claim being denied. My employer will not report my work-related injury or illness to their insurance carrier. What can I do? Your employer should have the workers' compensation insurance carrier information posted in the workplace. If so, you may contact the insurance carrier and report the claim yourself. If your employer does not have the insurance information posted, please contact the Employee Assistance and Ombudsman Office for assistance with obtaining that information.